There are only around 1,000 mountain gorillas left in the world today. Your support allows us to continue our award-winning conservation projects in Africa, providing a brighter future for gorillas and the people they live alongside. 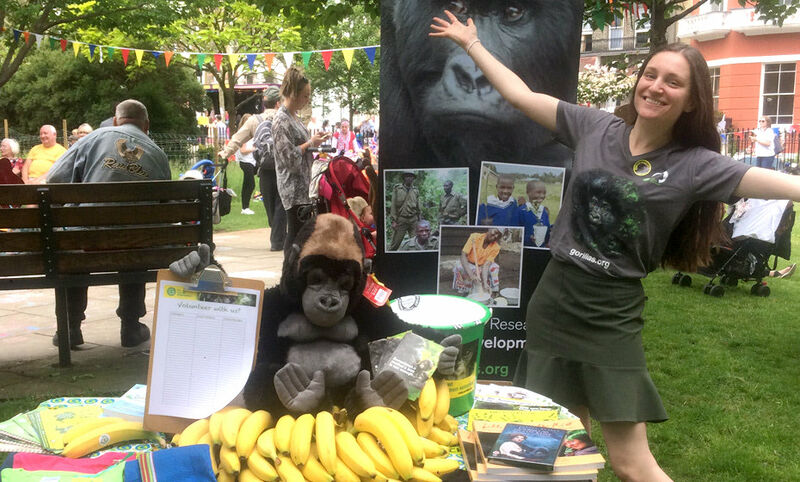 There are many fun ways you can fundraise for gorillas. You might have an idea for holding a sponsored event at school or work, or for a bake sale, or maybe you want to jump out of a plane and skydive dressed as a gorilla. You could even hold a birthday party and ask your friends to give to the gorillas instead of buying you a present. Our specialist fundraising and events team are always on hand to help you come up with new and exciting ideas or to hold your own event. Call the office to speak to the The Gorilla Organization events team or take a look at our downloadable Fundraising Notes to get some useful tips and ideas.